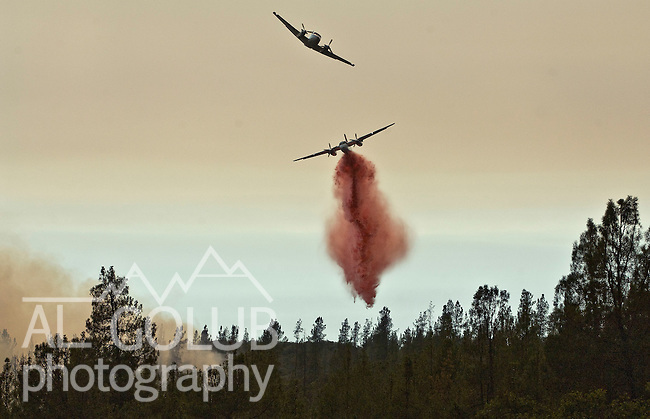 Greeley Hill, California-- July 29, 2008-Telegraph Fire-Wildfires Threaten Yosemite National Park .Guide plane leads retardant bomber on Division M of the Telegraph Fire in an attempt to slow down the progression of the fire up Halls Gulch toward Greeley Hill community. The is the active edge of the fire. .This Image was use by Associated Press Photo'.AP Photo/Al Golub.